Allen joined his wife, Soon-Yi Previn, for an interview with New York Magazine that posted Sunday, and writer Daphne Merkin slipped him a question about Ronan Farrow’s paternity. 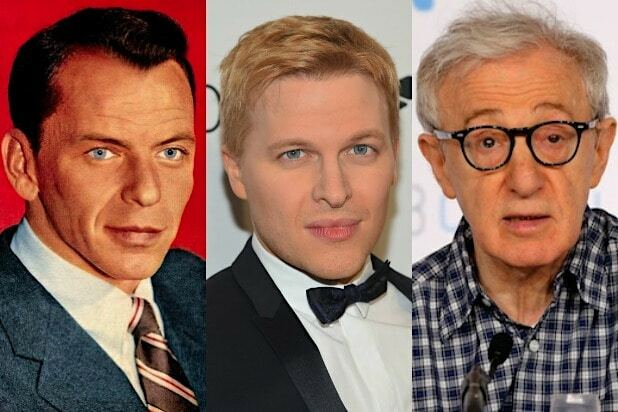 Although Allen and Mia Farrow were in a relationship when Ronan was born, it has long been speculated that Ronan’s biological father was Frank Sinatra, to whom Mia was married in the ’60s. In the New York Magazine story, Soon-Yi Previn accused Mia Farrow of abusing her as a child and defended Allen, to whom she has been married for 20 years. Ronan Farrow has stood by his mother and his sister, Dylan, who say Allen sexually assaulted Dylan in 1992, when she was 7 years old. Allen has denied the accusations, and in the New York Magazine story, Soon-Yi said her mother had seized on the #MeToo movement to revive the accusations against him. After the article posted, Ronan Farrow tweeted that it was “shameful” and a “hit piece” against his mother that disregarded the truth.